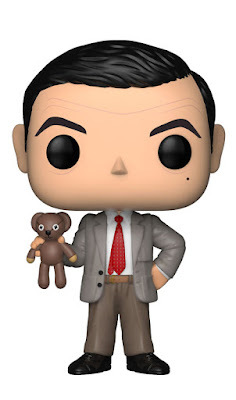 Coming Soon: Mr Bean Pop! Funko is excited to announce the British icon Mr Bean is coming to Pop! Mr Bean is full of unusual yet brilliant schemes. The hilarious Mr Bean can now be your favorite collectable! signature tweed jacket and skinny red tie. Christmas turkey on his head! Add Mr Bean to your collection this winter!